There are many benefits that you can take advantage of when deciding to invest in a mini elliptical trainer for home-based workouts. First, they are much more affordable than full-sized ellipticals, they don’t take up much space, and they can easily be stored away to prevent your living room getting cluttered. A good quality mini elliptical will allow you to use it in both a forward and backward motion and it should give you the ability to adjust the tension to increase the resistance as necessary.  With such a vast variety of options available on the market and a whole load of different pricing options, it can sometimes be overwhelming to figure out which model is going to be the best one for you. In this article, we are going to be taking a closer look at all of the pros and cons of using a mini elliptical machine for fitness, followed by our top picks for 2019. Getting fit and working out doesn’t have to be boring or time consuming, as these cleverly designed machines will allow you to get fit while watching TV, reading a book, or even when you are sat at your work desk catching up on a backlog of emails and tasks. Why Choose a Mini Elliptical Machine? Cross trainers or elliptical trainers are one of the most popular cardio machines in the present day, as they allow you to tone up, improve your cardiovascular health, and lose weight, without putting unnecessary strain on your joints. Its primary competitor is the treadmill, which, although makes for an excellent cardio workout, can destroy your joints with extended use resulting in potential debilitating injuries. Did you know you can burn as much as 400 calories in just half an hour using a mini elliptical machine? They are fantastic for helping with weight loss and more people tend to extend their workouts as they offer an entire hands-free solution to exercise meaning you can easily distract yourself with a magazine of a good TV show. The main issue with full-size elliptical machines is that they tend to be rather clunky and take up loads of room in your house, as well as being considerably more expensive than the compact versions that we will be reviewing during the course of this article. A commercial standard elliptical trainer can cost you somewhere between $3,000 and $7,000 and sometimes even more for the top-of-the-range models. A mini elliptical is a brilliant fitness option for those on a budget, as you will only be getting the pedal mechanism rather than the whole frame and handlebars. 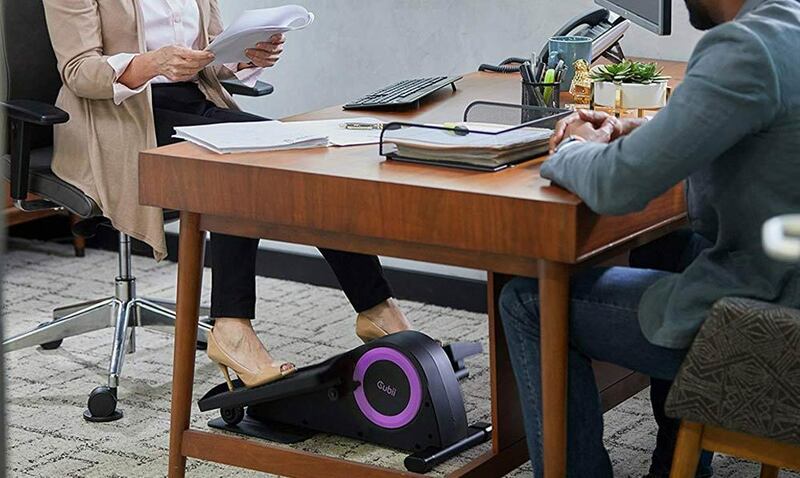 An under-desk mini elliptical will allow you to exercise hands-free so you can work on your computer or watch TV at the same time. Essentially, all you need to do is to sit down and pedal for a determined period of time, you don’t need to use your brain or your upper body at all. These compact trainers can be literally taken with you wherever you go, as they are light enough to put in a case and carry with you. The better models are usually whispered silent during operation, so you won’t have to worry about disturbing anyone else around you. A mini elliptical will help you to improve your fitness levels and burn fat while peddling away, especially for extended periods of time. Your legs will also become more toned and the best part is, you don’t even have to leave the house! We are all well aware of the long-term effects of leading too much of a sedentary lifestyle and sitting down for long periods of time, but the sad reality is that the majority of the population have to sit at a desk all day in order to make any money. An under-desk elliptical machine gives you an easy opportunity to maintain a healthier lifestyle by increasing your daily activity level. The best thing about an elliptical trainer is the fact that the gentle peddle motion is fluid and incredibly gentle on your joints. A stationary bike or treadmill can have a detrimental effect in the long run. These machines are super small and are specifically designed to be stowed away after every use, but the manufacturers behind each one has endeavored to create a product that is not only robust but stable too. This is primarily for customer satisfaction, but also so that the machines don’t vibrate or move too much during your exercise session. If we are being brutally honest, many of the full-size elliptical trainers are very time consuming and tricky to assemble. The great think about the mini versions is that they take as little as five minutes to set up and use, as all you usually need to do is attach the peddles to the frame and then you are good to go right away! When you use an elliptical machine in the gym, you obviously would be standing as you would need to hold onto the handles and balance your body weight correctly. However, with the mini elliptical machines, you can either be seated or standing when you use them. If you think you can’t get an intense workout from a mini elliptical, then think again. Many of the better-quality machines offer multiple levels of tension and resistance allowing you to push yourself to the limit and burn more calories. To help you make a decision regarding which mini elliptical to choose, here is our pick of the best mini elliptical trainers in 2019. This mini elliptical falls into the top of the range category thanks to its smooth design and easy adjustability. It features an LCD screen with five different settings that will allow you to monitor your performance closely whilst working out. This product offers outstanding quality along with a robust and sturdy design. The Cubii Pro is a cleverly designed mini elliptical that focuses on attention to detail. It is packed full of features and offers a high-performance workout that has ensured its place in the homes of many fitness fanatics across the world. One of the main things we like about this model is that it is really lightweight and can be assembled really easily in no time whatsoever. Users can choose from a range of resistance options that you can easily synch with a fitness app on your smartphone or tablet and it comes fully kitted out with Bluetooth connectivity. The Cubii Pro is a big brother to the Cubi Jnr, as it is equipped with more advanced features and it makes the perfect addition to any home gym for a seated workout. If you can afford to splash out on a top of the range product, then the Cubii Pro is going to be an excellent choice for you. 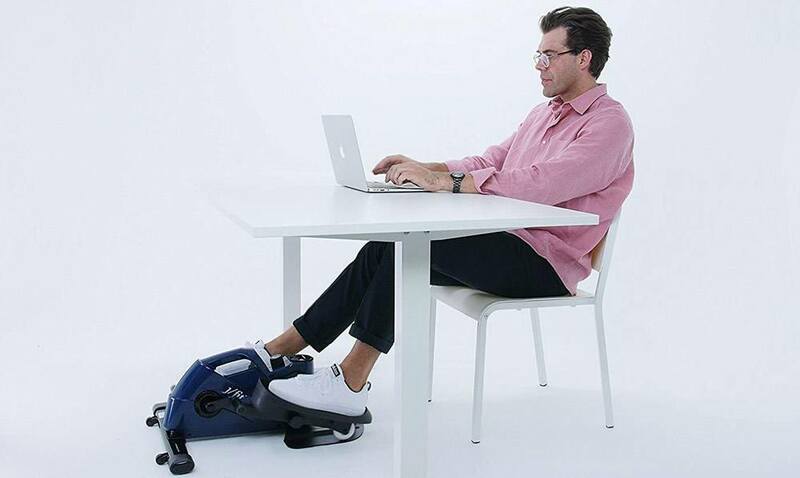 It features everything you need to exercise throughout the day. It is also perfect when you are sitting in front of the TV in the evening as its ergonomic design makes it a smart purchase for anyone wanting to work on their fitness. This simply built, but incredibly sturdy mini elliptical would make the perfect addition to any home or office environment. It is light to carry and only takes a few minutes to set up and activate. The designers of this product definitely had comfort at the forefront of their minds when creating this product and it features patented ergonomic angle technology to ensure a smooth workout session as well as the option to choose from eight different resistance levels. There is a built-in monitor featured on this model and this will enable you to see how many calories you have burnt, how many strides you have taken and the distance you have virtually traveled. This is an awesome little machine that can offer you a whole load of benefits for an affordable cost. This mini elliptical can be used both while seated and standing up and it has been specifically designed to be compact enough to transport easily. 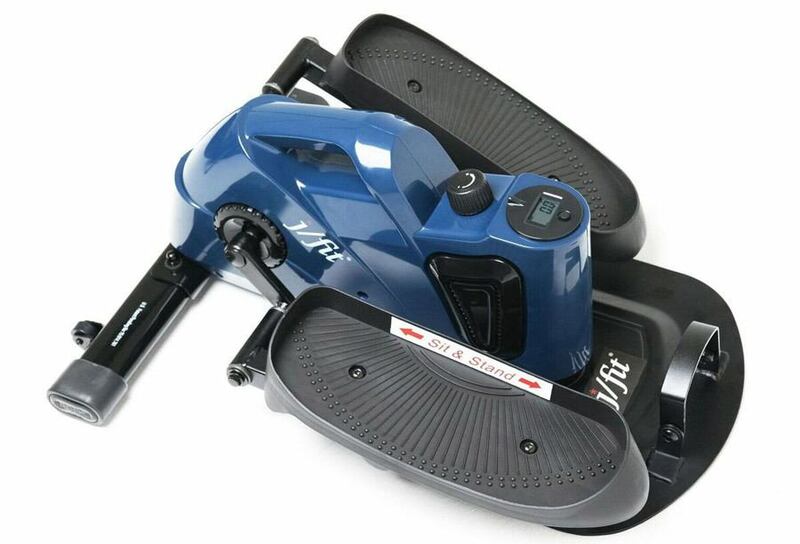 You can enjoy a range of performance tracking features as well as the fact that the pedals offer easy angle adjustment for an enhanced user experience. You can adjust the resistance levels whilst the machine is in use, regardless of if you are sitting or standing. This mid-range machine is an absolute steal for the price and whilst it doesn’t immediately boast any features that drastically stand out—it is a good quality product at an exceptionally good price. This mini elliptical machine from Fitdesk is without a doubt the number one competitor for the aforementioned Cubii models. It has been primarily designed to be used in a seated position or underneath a desk. It isn’t loaded with fancy features like the Cubii, but you will still be able to track your basic statistics like calories burned, speed and distance. 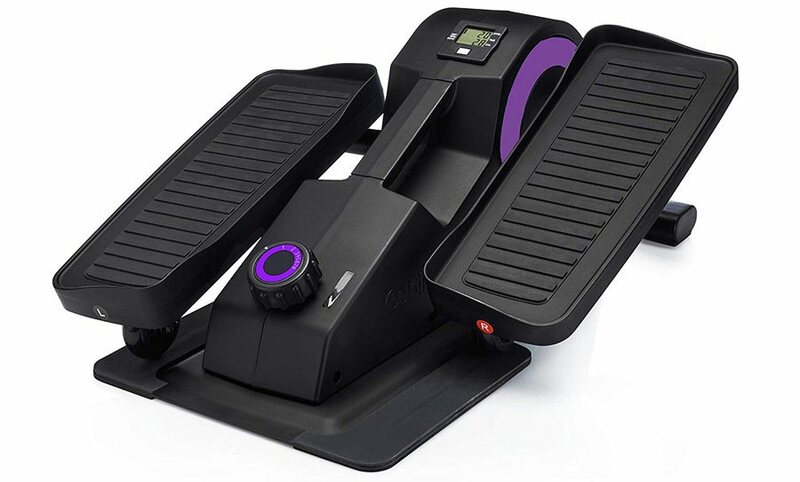 Although it might not be as elite as the Cubii Pro, it does have some pretty unique features by boasting a built-in foot roller on the chassis so you can give yourself a foot massage at the end of the workout and you can control all eight tension settings with a foot lever. 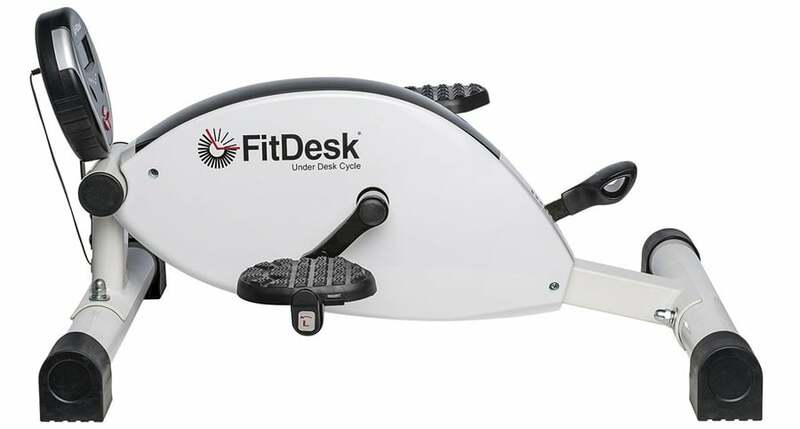 The Fitdesk is a well-priced standard option to invest in if you want to get a mini elliptical. However, there is nothing in particular that especially grabs our attention with this machine. Will a mini elliptical really help me lose weight? Yes, if you commit to using the equipment regularly for a dedicated amount of time then you can look forward to noticing some serious results in a relatively short amount of time. How many times a week should I use my new elliptical? There really is no limit as to how often you choose to use your new machine, as the more exercise you do, the more weight you will lose and the better you will start to feel. That said, if you are doing high-intensity workouts every day, you might want to take a day or two off to allow your body to rest and your muscles to repair themselves. Where is the best place to purchase a mini elliptical trainer? If you want to actually view the model in person, then you could try asking around some local sports shops in your area. However, bear in mind that reputable online retailers like Amazon often include free shipping in the price that you pay for a product and if you can get your desired product on Amazon prime, it could arrive in as little as 24 hours. What Are the Primary Benefits of Choosing to Buy a Mini Elliptical? Well, first of all, let’s be clear that if you are training for a marathon, a mini elliptical is probably not going to be your best option with regards to which equipment you should be using. 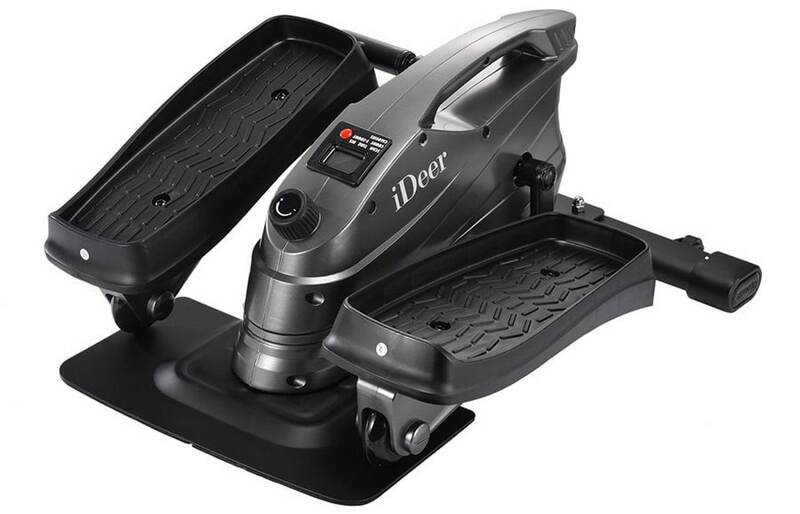 However, if you are thinking about improving your fitness ability, but you aren’t quite ready to take the time and effort to sign up for (and more importantly, attend) the gym, then a compact machine like this that you can use at home is a great way to ease yourself into a new active lifestyle. The fact that you can do a workout from the comfort of your sofa whilst watching the TV or a movie is absolutely remarkable and, frankly, extraordinarily convenient and this is exactly what a mini elliptical trainer can bring to the table. Doing no exercise whatsoever is not going to benefit your health in the long run, regardless of how young and nimble you feel. Even a gentle 20-minute pedaling session each day is going to dramatically reduce your risk of putting on extra weight and weakening your circulation. If you have suffered a recent injury to your feet or legs, then many physiotherapists recommend using a machine such as this one to gently strengthen your muscles without causing too much strain or impact. Can a mini elliptical really help you tone up and build muscle? Sure it can! Like we mentioned earlier, you are in complete control of how frequently and vigorously you work out and as so many of these machines offer a range of different resistances, you can push yourself to the limit for as long as you like every day if you so choose! However, if we are being completely realistic if building muscle and creating serious definition in your legs is your primary goal, then you would be better off doing some resistance training on a full-sized machine such as a Bowflex in the gym. One point worth keeping in mind before deciding on which model to buy is that you don’t want to spend money on a machine that is a jack of all trades but a master of none. A purpose-built machine is going to give you a lot more for your money as it has been designed with a particular focus in mind. Consider how you will be using the machine: If you want a simple option to do a light workout while watching a movie, then you should look at purchasing a seated model that you can crank up the resistance on for a tougher workout. Balance: If you like to work outstanding up then think about how you will balance yourself and try to invest in a product that features ergonomic design. Adjustable Footplates: If you plan on using your mini elliptical sitting down, then you need to think about where you will be sitting. The cheaper models of these machines do not necessarily offer adjustable footplates that allow you to sit in different positions during a workout. Noise: If you are planning on using your new mini elliptical in the living room, then consider how important a silent machine is going to be. If you will be using it around other people, then the last thing you need is to subject them to a continuous whirring noise whilst they are trying to relax and watch a film. Connectivity: Do you really need to track your statistics through an external application, or are you just happy knowing at the moment how many calories you are burning and the distance you have pedaled? Many people don’t pay so much attention to the LCD monitor displays that they have paid extra for, so think carefully before you decide to purchase a product with a higher price tag just for the sake of having the possibility to synch your results with a fitness app. Weight: As we mentioned above, these multifunctional pieces of equipment have a huge appeal of being easy to transport between your home and office—even on vacation if you like! However, some of them are lighter than others. If you plan on using your mini elliptical in various different locations, then you should endeavor to find one that is sturdy enough to provide the necessary resistance for an effective workout, but light enough for you to pick up and pack away easily. Which Machine Would We Choose? If your budget can accommodate it, then we would suggest investing in one of the superior top-of-the-range models that come with a built-in monitor and Bluetooth technology. The reason for this is that gym equipment and technology is always evolving and recording your progress on a fitness app will provide you with the extra motivation you need to stick to your workouts. Our favorite model by far is the Cubii Pro as it is equipped with enough features and levels of resistance to accommodate the needs of beginners and more advanced gym enthusiasts. Everyone’s fitness journey has to begin somewhere and there is no reason for you to put yourself through torture in a Crossfit class to feel like you are making progress. As the saying goes “slow and steady wins the race.” Therefore, as long as you can commit to being consistent, then there is no reason why a mini elliptical shouldn’t work to improve your overall health and help you to lose weight. You will also have the added convenience of not having to endure an arduous commute to the gym just to use the equipment there, as you can move your compact elliptical to wherever you would like to use it. Overall, a mini elliptical is a really useful piece of equipment that is ideal for use both at home and in the office and the best thing is, you don’t have to work up a serious sweat to notice results.